Mike Di Meglio was the quickest of the FIM EWC riders to adapt to riding the electric bike. The F.C.C. 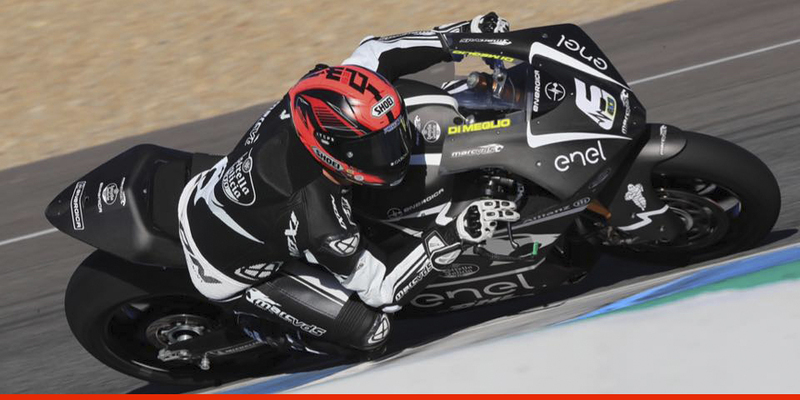 TSR Honda France rider clocked the third-fastest time at the MotoE tests in Jerez. The riders who have signed up to compete in MotoE, the new all-electric World Cup, have just concluded their first three days of testing in Spain, despite the changeable weather conditions in Jerez. Mike Di Meglio – clearly taken with the electric bike – was instantly at ease. He clocked the third-quickest overall time in the tests and the fastest time on the final day on a wet track. The FIM EWC riders all featured in the Top 10 of the 19 riders on the track in Jerez. Marvin Fritz only did a quick test run over the three-day period, standing in for Jesko Raffin, who was racing the final of the Spanish championship in Valencia this past weekend. Fritz finished 16th overall but seemed just as pleased at the end as his FIM EWC comrades. The next round of tests will be held at Jerez in mid-March 2019. Honestly, I was impressed by the bike’s potential. They’ve built a really good base and I find you don’t necessarily feel the weight. It feels a bit strange not to hear any noise, but once you’re in the saddle you really enjoy the ride. The bike’s handling needs a fair amount of fluidity, but I’m working on it. In fact, you’ve got to try to keep as much momentum as possible. When everyone’s finally figured out this bike, we’ll all find ourselves at the same level, so we’ll be looking at some very close-run races. The bike is real fun to ride. For sure the power is more similar to a 600, so less power than Endurance bike. You can’t do too many settings on the bike, so you have to adapt your riding style. The biggest difference is the duration! 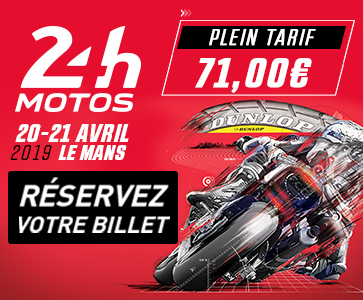 From 24 hours in the EWC to 24 minutes in MotoE! But I’m sure we will have a lot of great races with a lot of overtakes. I’m really surprised how easy it is to ride. The suspensions, brakes and tyres all pack a punch, and so you forget you’re riding a 260-kg machine. The weirdest thing is the lack of any sound from the engine and gearbox. Once, when braking, I was about to drop a gear when I remembered there’s no gear lever and no clutch.